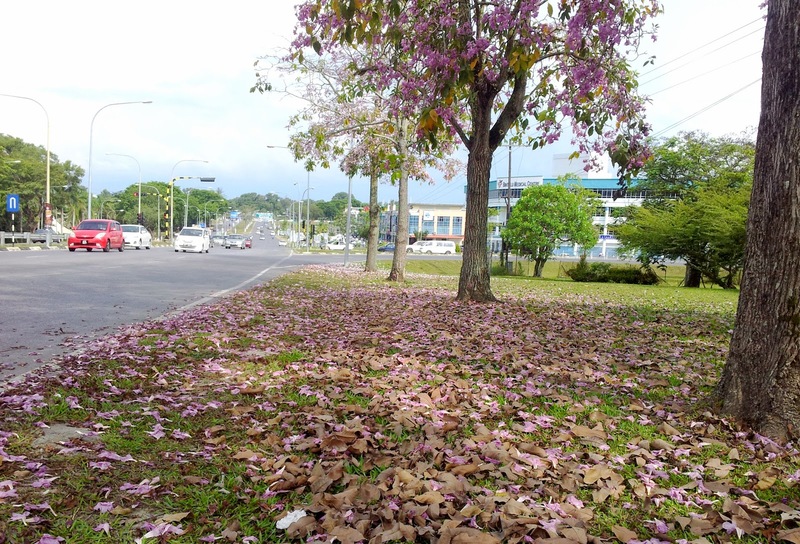 Pink Poui (Tabebuia rosea) along a major roadside in Bintulu. It is from this tree that my association with Arthur George Alphonso was first nurtured and provided me with many learning experiences on landscaping matters based on his experiences in the greening of Singapore. 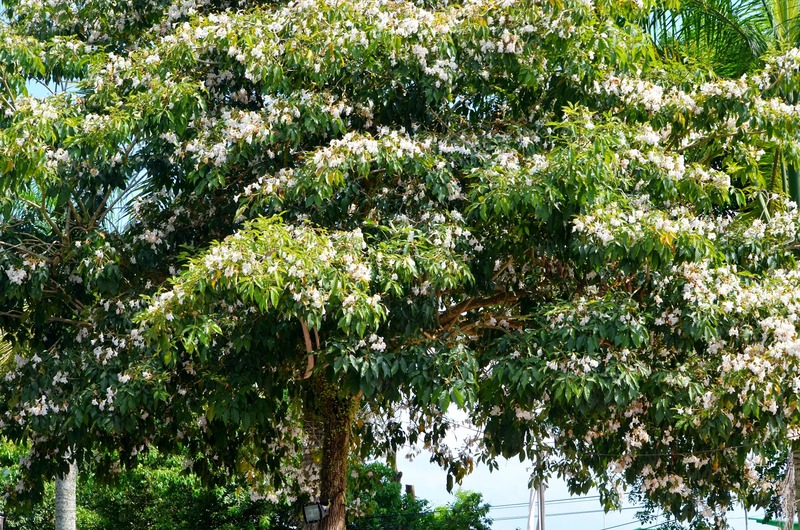 Just a couple of years ago I planted one Poui tree in my garden in Kuching. 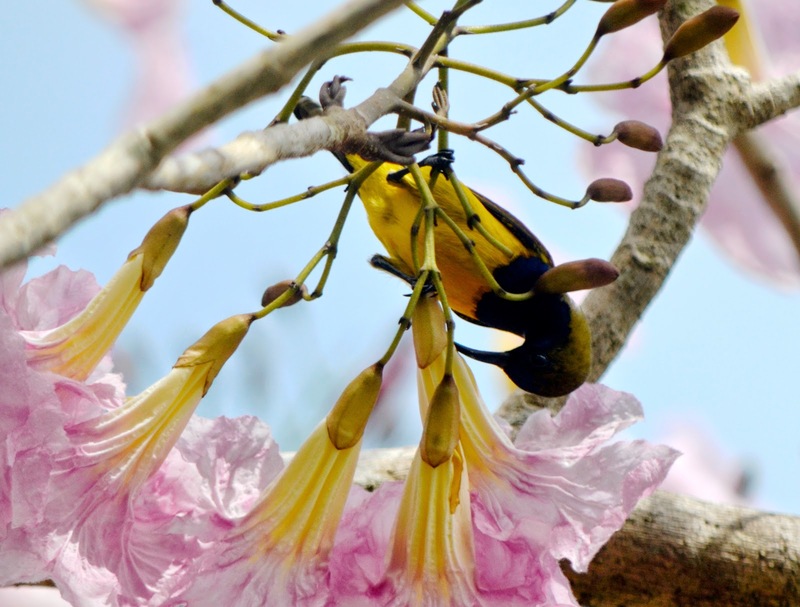 I consider the Poui tree as an essential tree for the Kambatik garden or Malaysian garden. 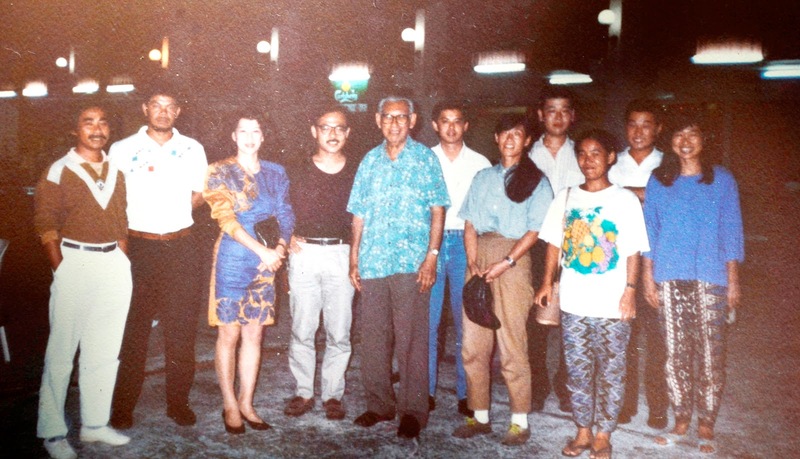 Check out more of my gardening experiences on this tree in Kuching here. 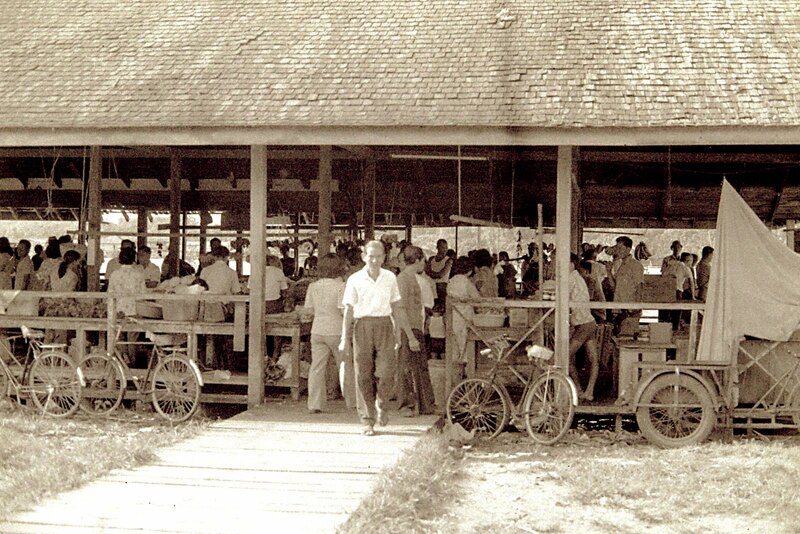 Photo shows me (extreme left) and George Alphonso (middle in blue shirt) entertaining Japanese volunteers (JOCV) at Pantai Ria, Bintulu. Date taken : 26 October,1990.